The 3800-m-high Gunung Kerinci in central Sumatra is Indonesia's highest volcano and one of the most active in Sumatra. An small eruption occurred last Sunday (2 June) at 8:43 am (local time), preceded by a rise in seismic activity reported by the local volcano observatory. An ash explosion produced a small rising 300-600 m and light ash fall at Gunung Tujuh about 20 km away. According to local news, the sudden eruption caused panik among inhabitants of Sungai Rumpun village and several evacuated their homes. Some climbers who were on the volcano at the time of the explosions returned unharmed. The eruption was not signalled by VSI nor VAAC and originally only mentioned in some Indonesian media where it is not worth more than a brief note, given the large number of such events every year. Many more eruptions probably occur around the world without getting the attention of international media. 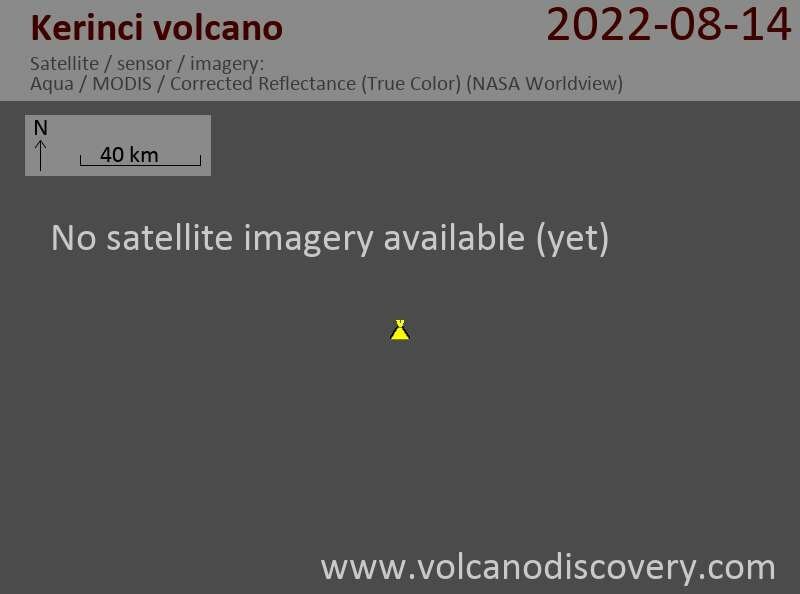 Satellite data showed a weak SO2 anomaly at the volcano on 2 June and a thermal anomaly is regularly visible at the often active volcano's summit.